Although the incidence of credit card fraud is limited to a small percentage of transactions, the related financial losses may be huge. This demands the design of automatic Fraud Detection Systems (FDS) able to detect fraudulent transactions with high precision and deal with the heterogeneous nature of the fraudster behavior. Indeed, the nature of the fraud behavior may strongly differ according to the payment system (e.g. e-commerce or shop terminal), the country and the population segment. Given the high cost of designing data-driven FDSs, it is more and more important for transactional companies to reuse existing pipelines and adapt them to different domains and contexts: this boils down to a well-known problem of transfer learning. 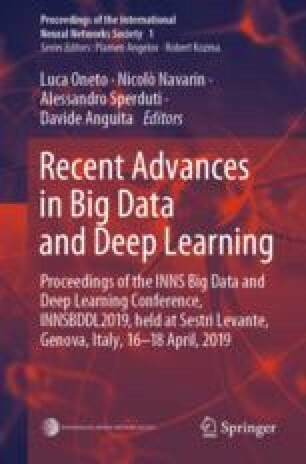 This paper deals with deep transfer learning approaches for credit card fraud detection and focuses on transferring classification models learned on a specific category of transactions (e-commerce) to another (face-to-face). In particular we present and discuss two domain adaptation techniques in a deep neural network setting: the first one is an original domain adaptation strategy relying on the creation of additional features to transfer properties of the source domain to the target one and the second is an extension of a recent work of Ganin et al. The two methods are assessed, together with three state-of-the-art benchmarks, on a five-months dataset (more than 80 million e-commerce and face-to face transactions) provided by a major card issuer. This work was supported by the DefeatFraud project funded by Innoviris (2017-R-49a). We thank this institution for giving us the opportunity to conduct both fundamental and applied research. B. Lebichot also thanks LouRIM, Université catholique de Louvain, Belgium for their support.